If you’re anything like the NAPCP staff, you’re scratching your head wondering how in the world it got to be the end of October. But now that you’ve decided on a costume, and spookily decorated your abode, we bet you’re ready for some festive finishing touches! We scoured the web and rounded up Halloween printables to perfect your spine-chilling weekend. 1. Give Me Something Good To Eat Goody Bag Tags. The sweetest Halloween printables. Perfect for party favors, and there’s a bonus party invitation printable, too! 2. Trick or Treat Print. From Fancy Designs. 3. Bag O’Bones Invitation. An easy, fun invitation. There’s also a party favor gift tag printable! 4. Candy Jar Labels. Treats are even more tempting when they’re announced by festive labels! 5. DIY Paper Lanterns. These mini lanterns are cut from metallic black paper, and white vellum. Find the cut file for your Cricut, or the template for hand-cutting, here. 6. Hello, Halloween Printable Treat Labels. Available in a variety of sizes, these labels prove that Halloween designs can be lovely! 7. Halloween Candy Bar Wraps + Treat Toppers. Creepy-crawly perfection. With both text and non-text versions. 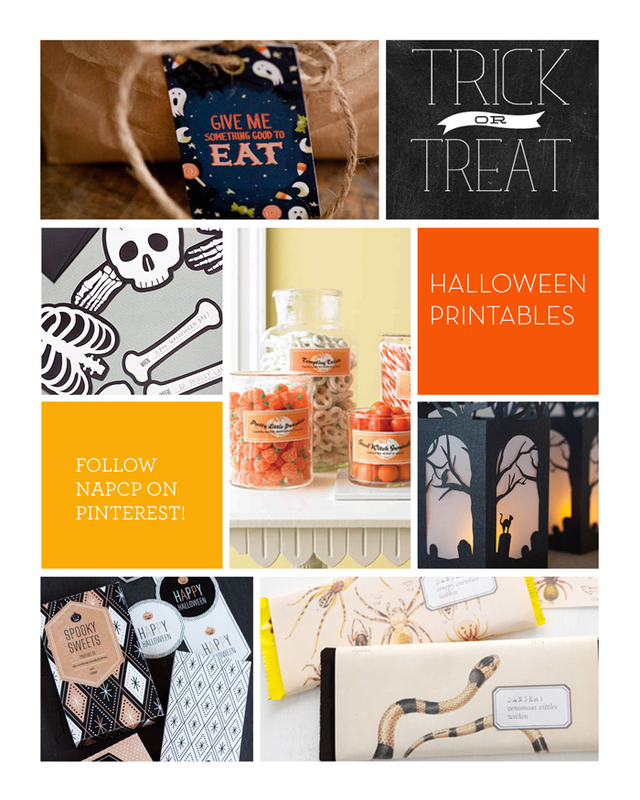 Let us know which set of printables is your fave, and Happy Halloween!